ISLAMABAD, Mar 25 (APP):The exports of various transport services earned $425.639 million for the country during the first seven months of the current fiscal year (2018-19). However, as compared to the $572.050 million exports of last year, the exports of transport services during the July-January (2018-19) witnessed negative growth of 25.46 percent, according to the latest data of Pakistan Bureau of Statistics (PBS). The transport services, which contributed in negative growth included air transport services, exports of which declined by 31.81 percent, from $523.610 million last year to $357.030 million during the current year. Among the air transport, the passenger services exports decreased by 37.89 percent, freight services exports by 64.21 percent while the trade of other air transport services declined by 19.63 percent. On the other hand, the road transport services exports slipped by 1.3 percent, from $38.660 million last year to $38.159 million during the current year. This decline in exports was witnessed only in freight exports while there was no trade in passenger service exports and other road transport services. Meanwhile, the exports of sea transport services exports surged by 225.85 percent during the period under review as it went up from $7.350 million to $23.950 million. Among the sea transport, the freight services increased by 3020 percent whereas there was no trade in passenger services. 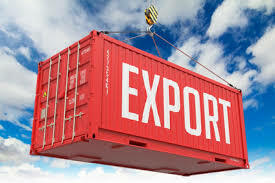 The exports of all other sea transport services increased by 111.05 percent. $54 million in January 2019. On month-on-month basis, the transport services exports however increased by 1.48 percent in January 2019 when compared to the exports of $53.330 million in December 2018, the PBS data revealed. It is pertinent to mention here that the overall services trade deficit shrank by 34.79 percent during the first seven months of the current fiscal year compared to the corresponding period of last year. The services trade deficit during July-January (2018-19) was recorded at $2.091 billion against the deficit of $3.208 billion during July-January (2017-18), showing decline of 34.79 percent, official data revealed. The services imports into the country during the period under review decreased by 18.11 percent to $5.169 billion from $6.313 billion last year while its exports witnessed slight negative growth of 0.88 percent and was recorded at $3.078 billion against the exports of $3.105 billion during the same period of last year.